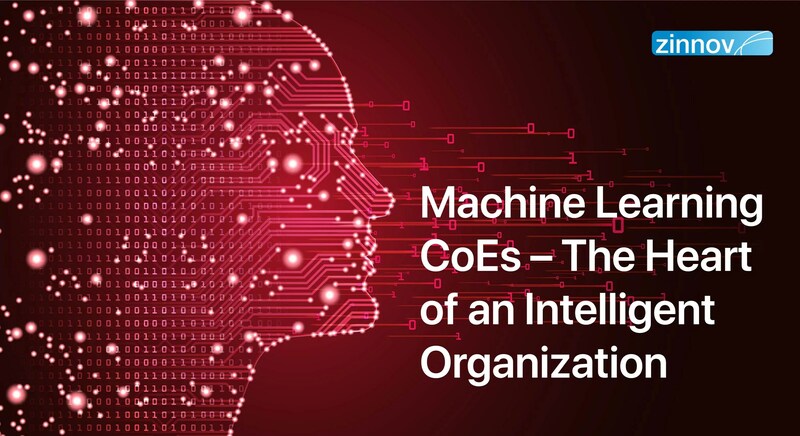 Organizations today, are faced with adversities on many fronts – disruptive headwinds knocking at their doors, a swarm of emerging digital technologies, changing markets and consumption patterns. Even as the innovation agenda continues to move beyond being a rhetoric in boardroom discussions to tangible business outcomes, organizations across the world continue to struggle with their R&D. Innovation, unlike process excellence, is not a linear process, for it requires multiple unstructured puzzles to act in unison to ensure success. Of all these puzzles, leveraging digital talent continues to be a battleground for organizations and their ER&D counterparts. It is a war the organizations cannot afford to lose. India ER&D GICs are looking to turn this adversity into opportunity. 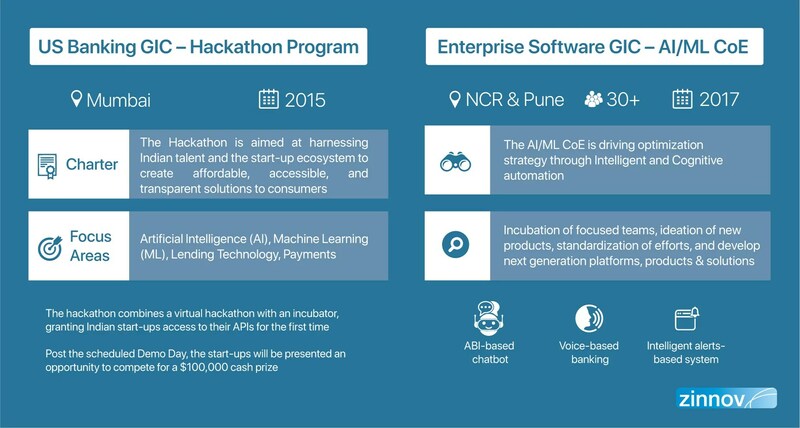 The focus of the Indian government on adopting advanced technologies, a booming technology start-up ecosystem, and the availability of digital talent puts India in a uniquely advantageous position to lead the global innovation agenda. ER&D GICs in India are actively repositioning themselves as global innovation hubs in a bid to attract digital native talent. A significant portion of new GIC investments is focused on futureproofing the organization through innovation-led R&D. 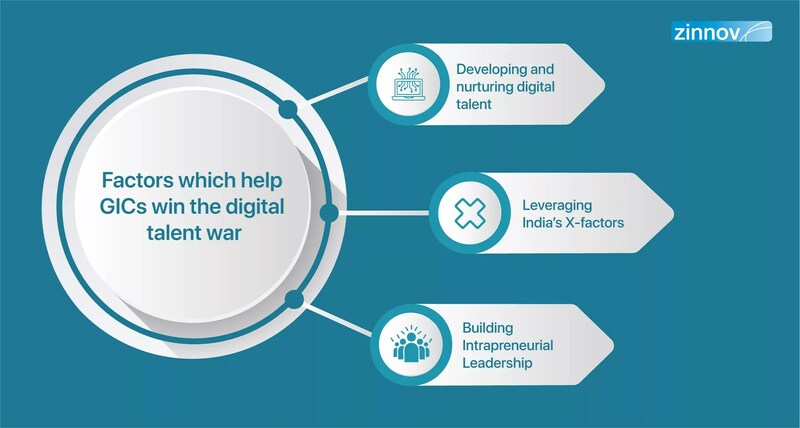 Further, as organizations across the world accelerate their pace of R&D globalization, India is set to become the epicenter of the digital talent war. 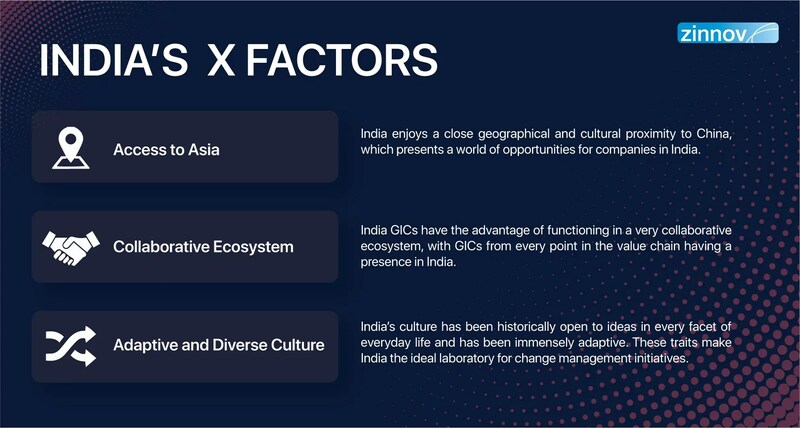 In the early 1990s, GICs in India were set up merely as back-office centers, focusing on operational efficiency driven by cost arbitrage and abundant talent availability. Over the last decade, however, ER&D centers have transitioned from being cost-effective delivery centers to value creators. 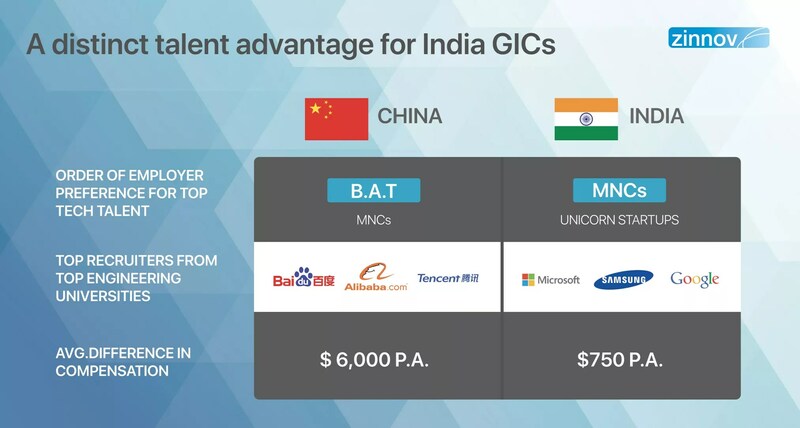 With over 976+ ER&D GICs housing a talent pool of over ~396K, India’s technology ecosystem is scaling rapidly with a large representation from US-based MNCs. The digital native green shoots are emerging from APAC, and are expected to continue in the future as well. 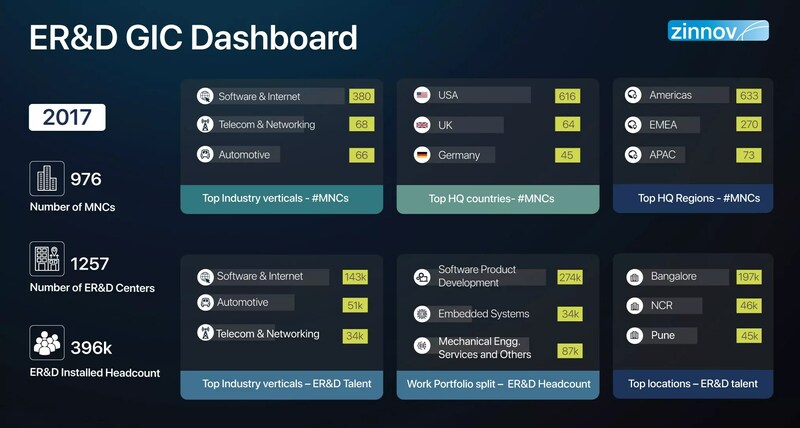 Apart from skilled talent availability and cost arbitrage that played out during the initial years, India’s proximity to Asian markets, its adaptive and diverse culture, and collaborative ecosystem of 7500+ start-ups, 6500+ universities, and 150+ ER&D Service Providers have created a strong networking effect, contributing to 10X growth of ER&D GICs in India over the last two decades. These X factors, if exploited and leveraged well, could potentially help India leapfrog to ER&D stratosphere. But all these count for very little if the ER&D GICs do not grab the India opportunity. It is time to scale their India centers before it is too late. The employer preference has already gravitated towards B.A.T. (Baidu, Alibaba, Tencent) in China. This is only a preview of what is in store for India if it doesn’t act on the current opportunity. Exploring open innovation models in sandbox environments. 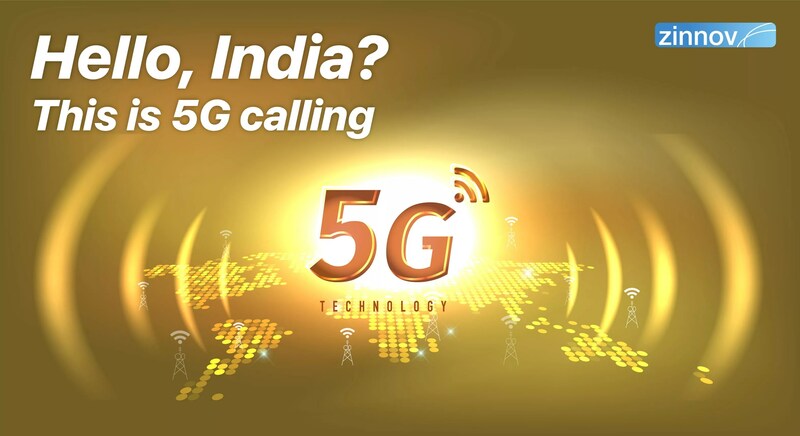 The digital native GICs have gone a step ahead in adopting technologies by providing autonomy and ownership of platforms/products for the engineering teams in India. The incidence of global leaders with product or regional ownership has been on the rise among matured GICs. As the ecosystem matures further, GICs are looking to drive global innovation and organization charters out of India. However, India ER&D GICs need strong leadership to democratize these trends across the community. 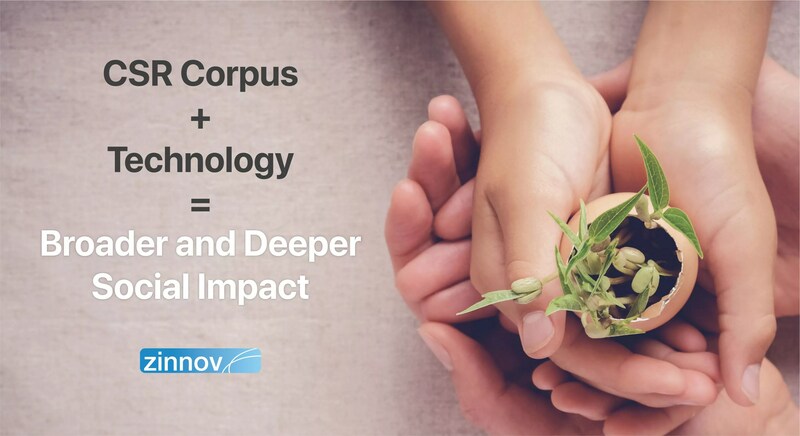 India ER&D GICs require intrapreneurial leaders to lead them into the digital future and help in achieving the vision of becoming transformational hubs for their global counterparts. Further, the whole organization should rally behind them for this dream to turn into a reality. 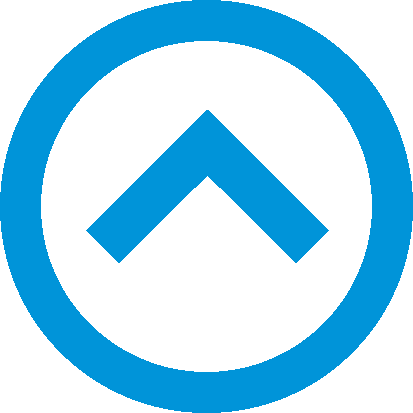 The next leap of growth hinges upon organizations developing such leaders in-house, at all levels. 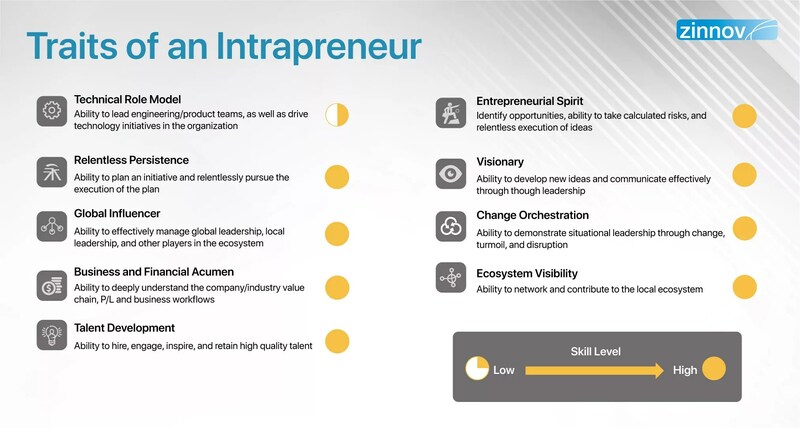 Based on a recent Zinnov study on the current crop of leaders in ER&D GICs, only 5% of India GIC leaders are Intrapreneurs. 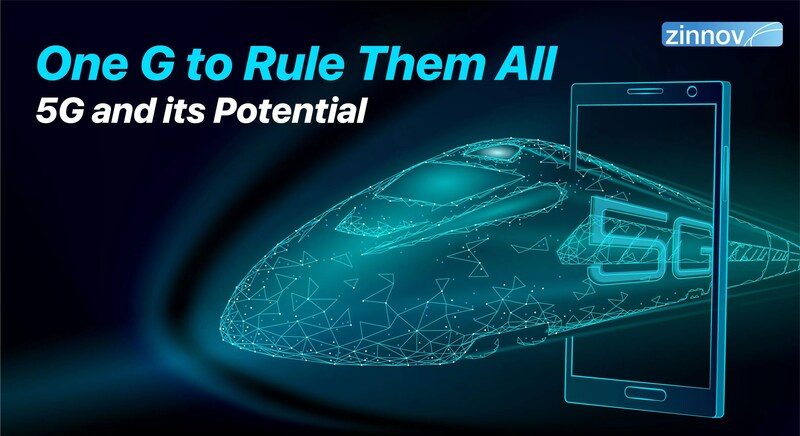 Going by the exponential digital growth experienced by ER&D GICs, the Zinnov study revealed that 57% of the India ER&D GICs would require Intrapreneurial leaders at the top by 2020. The supply-demand gap could severely endanger India’s growth trajectory and could have a telling effect on India’s transformation into a knowledge-based economy. Therefore, organizations need to focus on capacity building at the highest level. ER&D GICs have come a long way from being cost centers to value creators. As the disruption headwinds intensify, GICs brace themselves for newer challenges. The focus on R&D and innovation is more than ever before. 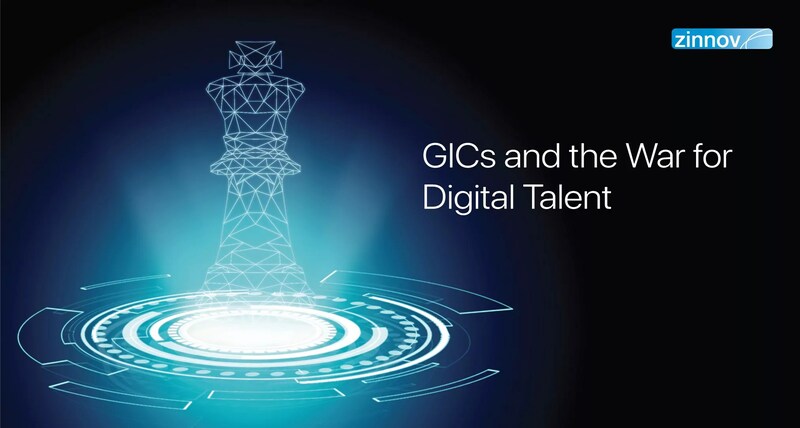 The opportunity for India GICs lies in nurturing digital talent, exploiting India’s X factors, and an inspirational Intrapreneurial leadership that can bind these factors to rally the GICs in their transformation journeys. While the tech giants take the lead in charting their digital future, it is imperative that others follow suit. As the war for digital talent intensifies, it will be interesting to see how the future unfolds. Learn how to nurture intrapreneurs in your ER&D GICs by writing to us at info@zinnov.com.